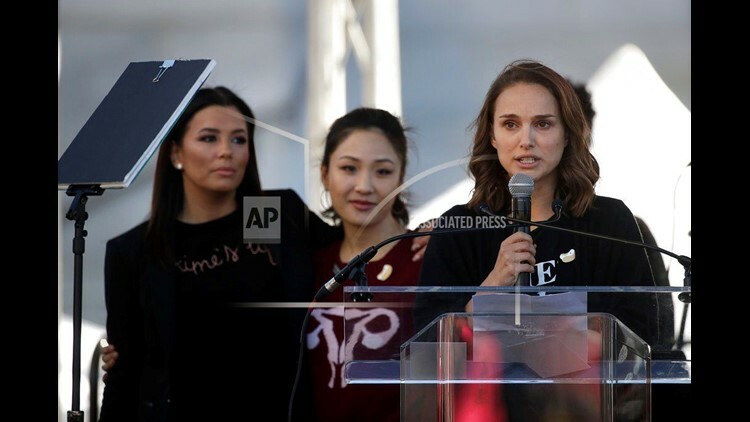 JERUSALEM (AP) - Actress Natalie Portman has snubbed a prestigious prize known as the "Jewish Nobel" because of "extreme distress" over recent events in Israel, triggering an angry backlash Friday from some in the country's political establishment. Portman was to have received the award in Israel in June, but told the Genesis Prize Foundation through a representative that she would "not feel comfortable participating in any public events in Israel." The movie star did not elaborate as to what had made her feel that way. Israel's right-wing Culture Minister Miri Regev said in a statement Friday that she was sorry to hear that Portman "has fallen like a ripe fruit into the hands of BDS supporters," referring to a Palestinian-led global movement of boycott, divestment and sanctions against Israel. In Thursday's statement, the Genesis foundation quoted a representative for Portman as saying that "she cannot in good conscience move forward with the ceremony."